2 images. 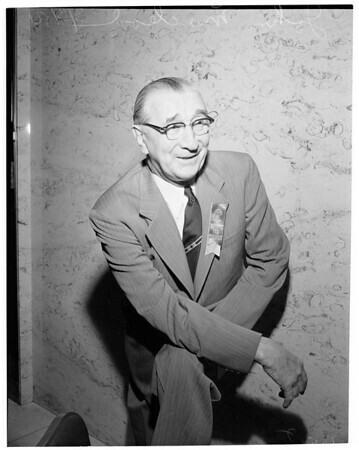 New President of Association, General Contractors, 3 March 1954. John Macleod. (Handout).